Unseasonably hot weather can make your flowers and vegetable plants start to look peaked. 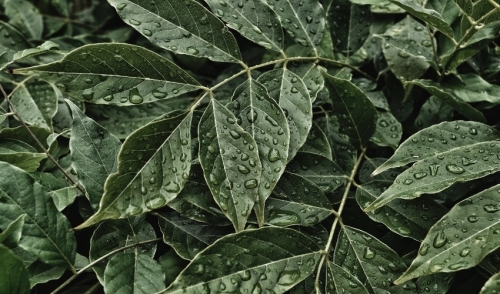 Although rainfall does help, you should remember to water thoughtfully. To determine if you have watered sufficiently, dig down into the soil to see if more moisture is needed. Dig down with a trowel blade about 5-6 inches. If it's moist and damp, leave it alone. If it's still dry, water! Most garden plants, including your lush lawn, need an inch of water a week from rainfall or watering. Keep in mind that a few deep waterings are better than frequent light sprinklings. When water soaks deep into the soil the roots will grow to reach it. If water does not penetrate deeply and stays near the surface, roots will start growing upward.